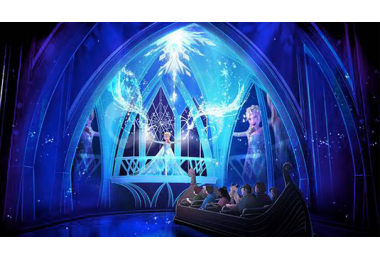 Are you ready to “Let It Go” at D23 EXPO 2015? 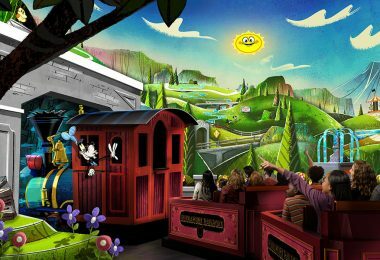 The just-announced Frozen FANdemonium is going to give you that chance, and you won’t want to miss it! 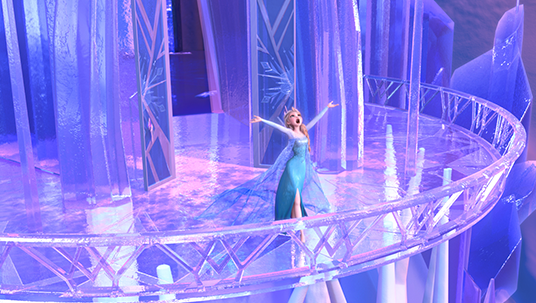 D23 EXPO 2015 attendees are in for a fun-filled musical treat when Frozen FANdemonium: A Musical Celebration! takes over the 7,500-seat Hall D23 on Sunday, August 16, at 3 p.m. at the Anaheim Convention Center. 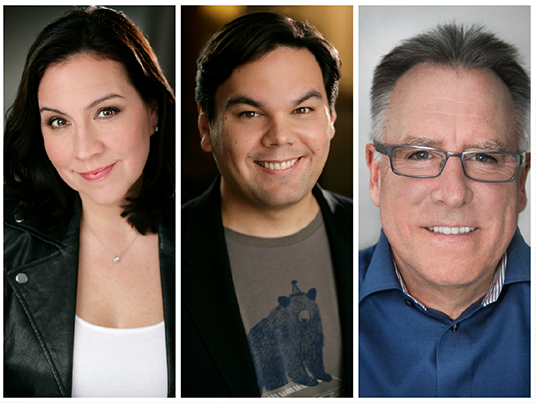 In what will be a thrilling and fun interactive experience for Disney fans of all ages, join host Chris Montan, president, Walt Disney Music, and the Oscar®-winning songwriting team of Kristen Anderson-Lopez and Robert Lopez as they take you on a once-in-a-lifetime musical journey through the world of Frozen. This one-day-only performance features your friends from the Walt Disney Animation Studios film––including Anna and Elsa––with sing-along experiences of your Frozen favorites such as “Let It Go,” “In Summer,” and more. 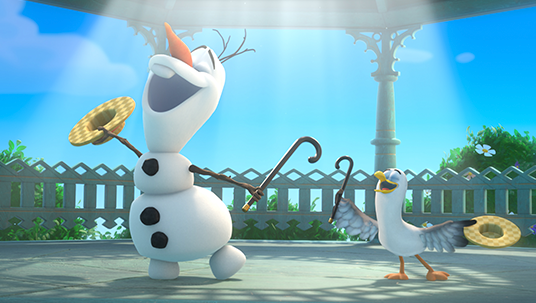 Plus, fans can expect special surprises and fascinating stories behind some of your favorite Frozen songs. Disney fans know Kristen Anderson-Lopez—and her husband and collaborator Robert Lopez—for their songs from Frozen, along with their song, “Moving Pictures,” that was sung by Neil Patrick Harris to open this year’s Academy Awards®. The Lopezes also wrote the Annie Award-nominated songs for the 2011 feature film Winnie the Pooh and Anderson-Lopez—also an actress—was featured as the voice of Kanga in Disney’s Winnie the Pooh. Robert Lopez is the three-time Tony®-winning co-creator of the worldwide smash hit Broadway musicals Avenue Q and The Book of Mormon. Lopez recently became the youngest of 12 people in history who have won Emmy®, Grammy®, Oscar®, and Tony® Awards (EGOT), and the only one to have accomplished it in under a decade. Anderson-Lopez and Lopez won an Oscar and a Grammy for Frozen’s signature song “Let It Go” and they share a Grammy for the Frozen soundtrack. Chris Montan currently serves as president of Walt Disney Music and oversees music for a wide variety of Disney projects including all Disney and Pixar animated feature films, all Disney Theatrical stage productions, as well as the music for Walt Disney Theme Parks and Resorts worldwide. 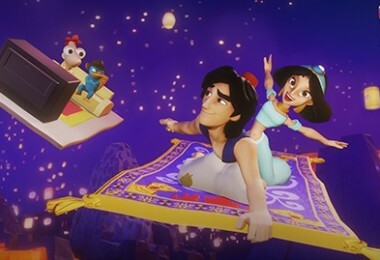 Additionally, he is executive music producer for all of the Studio’s animated features and works closely in the story process as well as helping to select musical talent. Montan joined Disney in 1984. 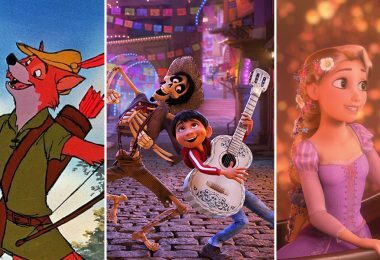 Under his guidance the Studio has garnered an unprecedented 42 Musical Academy Award nominations, and soundtracks from 10 of the Studio’s theatrical releases have been certified multi-platinum.